I’ve a rash on my chest and neck, big deal, with all the other thing I cope with every day this is just a minor annoyance. I wish! This month should have been the best for years, I’ve been mostly pain free, my brain’s been clear of fog and the sun’s been shining (a huge contrast to last month which was grim). So this should have been a perfect month, but my constantly itching chest and neck has been a constant drain on my willpower: don’t scratch, don’t scratch don’t scratch … all day long. When I try to sleep my attention keepings being drawn to the itch, meditation is hopeless. I have this powerful sedative ‘anti-itch’ cream which gives me an hours relief a couple of times a day, but in some ways it makes things worse, because I realise how wonderful life is without the damned itching and then it creeps back. The doctor doesn’t know what it is, it’s probably a bad flare of the normal rash I get with Stills Disease, but who knows. It’s been three weeks now of trying different creams and it keeps spreading, I’m trying another one today and so far it’s worse. It’s amazing how it wears me down, I’ve noticed that every day that I’ve worked this week I’ve had a migraine by early evening. It’s as if fighting the itch is using up all the energy I have and if I do more then I’m punished with a migraine. Day by day the lack of sleep, the migraines and the depleted willpower are wearing me down, I’m just lucky I’m not in pain and blinded by brain fog as well. The best relief so far comes while walking, the need to pay attention to motion distracts my mind a little, podcasts a little more .. walking works better than any of the creams. 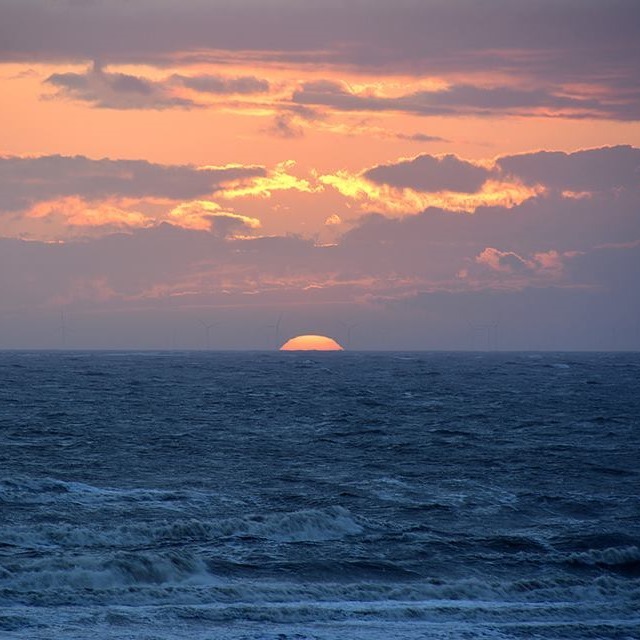 The photo is of the sun sinking behind the Irish Sea as viewed from Cleveleys, time to sleep, the only time of day I get relief!